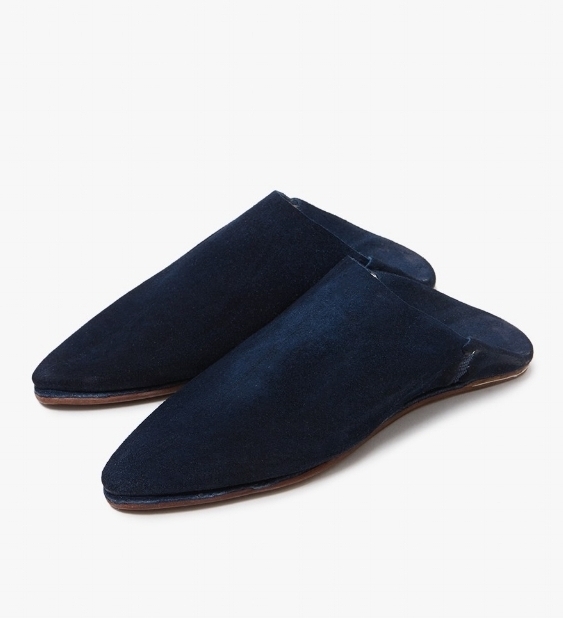 I love the idea of a house shoe, defined for my purposes as a comfortable but elevated slipper that is a step up from the standard fuzzy variety. I've resolved to clean up my work wardrobe, as I work from home and tend to dress in any combination of the most comfortable pieces I can grab in the shortest amount of time. Any of the below would go a long way toward adding some polish to my everyday look. 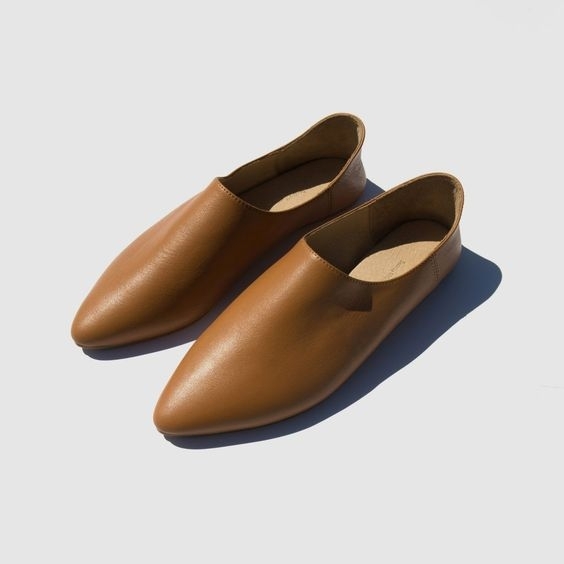 Beatrice Valenzuela's modern take on the babouche. Also check out her Sandalia style, my favorite comfortable, casual sandal; $286. 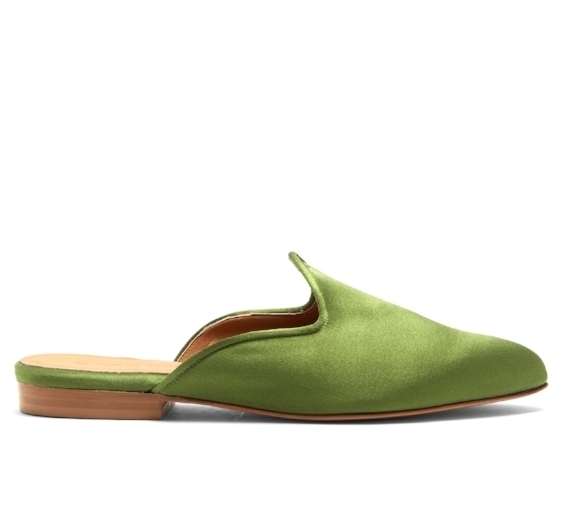 Green satin slipper by Le Monde Beryl, now on sale; $167. Love the easy refinement of a babouche. These are available in navy and rust; $47. Jenni Kayne's Shearling Mule pushes my no-fuzzy-slippers mandate, but they get a pass for their sophisticated style; $395. This slide, by J Crew, would add some levity to the workday; $98. Love the vibrant red of these velvet Gianvito Rossi slippers, now on sale; $323.